Though such actions target civilians and constitute a war crime, the U.S. has used such tactics in Syria before, such as in the battle for Raqqa whenit cut off water supplies to the city as its proxies took control of the city from Daesh (ISIS). Other countries, like Turkey, have also cut off the flow of the Euphrates on two occasions over the course of the Syrian conflict in order to gain a strategic advantage. Throughout the Syrian conflict, the U.S. government has repeatedly tried to sell partition to the public, arguing that partition is the “only” solutionto Syria’s ongoing “sectarian” conflict. However, this sectarianism was cynically engineered and stoked by foreign powers precisely to bring about the current conflict in Syria and ultimately justify partition. 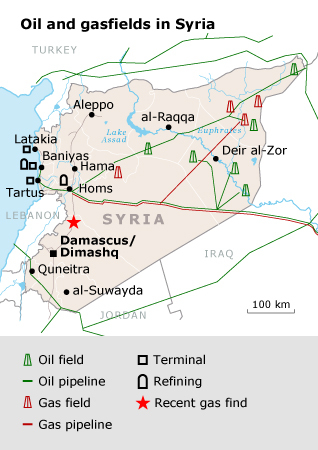 As U.S.-based intelligence firm Stratfor noted in 2002, taking control of Syria’s northeast would greatly complicate the land route between Syria and Iran as well as the land route between Iran and Lebanon. In January, Tillerson made this objective clear. Speaking at Stanford University,Tillerson noted that “diminishing” Iran’s influence in Syria was a key goal for the U.S. and a major reason for its occupation of the northeast.